Welcome to our 4 star self catering lodge Near Bridgnorth in Shropshire : The ultimate Shropshire Staycation which is available all year to enjoy for short let or longer holidays for romantic breaks. Olympic Home Much Wenlock: Less than 10 miles from Much Wenlock: home of the modern Olympic Games & close to Wenlock Edge for walking. The Olympian Connection. William Penny Brookes was born in Much Wenlock in 1809 where his father was one of the local doctors. The family house is in Wilmore Street opposite the Parish Church. In 1831, William Penny Brookes returned to Much Wenlock to take over his father's GP practice. In 1850 Brookes formed the Wenlock Olympian Class. The first Games, held in October 1850, were a mixture of athletics and also traditional country sports such as quoits, football and cricket. These early Games sometimes included a ' fun' event; once a wheelbarrow race, another year an old woman's race for a pound of tea, these events were not usually a part of the general programme. The Wenlock Olympian Society Annual Games are still held, every July, at the Windmill Field though this area is now designated the Gaskell Recreation Ground. From the beginning some events were open to all-comers. Severn Leisure Centre: Severn Centre at Bridgnorth Road, Highley, Shropshire. WV16 6JS, Tel: 01746 860000. The large 25 x 10m heated open air swimming pool provides the holiday atmosphere. With picnic area, sweet kiosk and baby pools, there is something for everyone. Open May to October (weather permitting, please call to confirm), sessions include adult only, kid's splash and swimming lessons. Suitable for Badminton, Volleyball, Trampolining, Indoor Cricket, Table Tennis, Gymnastics, Basketball, Martial Arts & much more. The all weather surface is ideal for Tennis (3 courts), Netball, 5 aside Football and Hockey. Flood Lights mean games can be played throughout the evening all year round. Severn Valley Railway: The Severn Valley Railway operates steam-hauled passenger trains between Bridgnorth, Bewdley and Kidderminster. Trains run every weekend and daily May to September plus local school holidays. Bookings available directly 01299 403816 open 09:30 to 18:00. Full Day rates available on request with child and senior citizen and family rates. Multi-journey available. The very private Sauna off main bathroom will assist your relaxation at Bentley Lodge in Astbury Falls. The mental benefits of sauna use can be as important as the physical benefits. Stress can manifest itself in some real physical illnesses. We all should have a 'happy place' we can retreat to as an escape from the trials and tribulations of everyday life. What better place than a sauna? The environment of a sauna promotes good feelings and soothes a troubles mind. It is not easy to feel bad in a sauna and the feelings of relaxation and peace tend to stay with you long after the sweating is over. PLEASE NOTE Those with existing medical conditions such as having heart problems, high or low blood pressure and women who are pregnant should be cautious about using a sauna and, for people with these kinds of conditions and others who have some concerns over their health; you should refrain from using a sauna. If in doubt seek advice from your GP first. We had a lovely, relaxing weekend in this beautiful area. The lodge was well appointed, warm and tastefully furnished. The beds and chairs were very comfortable. It was great to have a bathroom per couple. We do our best to ensure the comfort of our guests which make for memorable stays which we hope people wish to repeat. We are happy you appreciated the facilities and that you all want to come back. We would be more than happy to have such caring guests. It was amazing!! The cabin was beautiful and very well equipped it really is a home away from home. We have stayed 4 times and every stay has been lovely. The property is equipped to a very high standard, and you always receive a generous Welcome pack, which is very much appreciated. The location is brilliant for visiting the many local attractions. Would highly recommend this Lodge . It’s great that guests come back. That’s very important to us, the fact that they do, not just say they will. This was our 4th stay at Bentley Lodge and once again we were not disappointed. The lodge is equipped and decorated to the highest of standards and the welcome pack Jan provides is lovely. If you are looking for a little peace and tranquillity then this is the place for you. The Steam railway, Bridgenorth, Rays Farm are all within a short distance. There are walks nearby as well as many pubs and restaurants. However, it is just lovely to sit and enjoy the quiet peace of the lodge. I would recommend this property to anyone but selfishly would like to keep it a secret too. You could not find a better equipped property that caters for all tastes, you really want for nothing except another bottle of wine after you have finished Jan's. Jan and Paul's response is quick and all contact is professional and helpful, nothing is too much trouble. The lodge was quiet and peaceful, warm and welcoming and comfortable. Spotlessly clean and everything you need for your stay is provided. The welcome pack was above and beyond a usual welcome pack. Thank you we will definitely be returning. We have been coming back to the lodge for many years and for good reason. 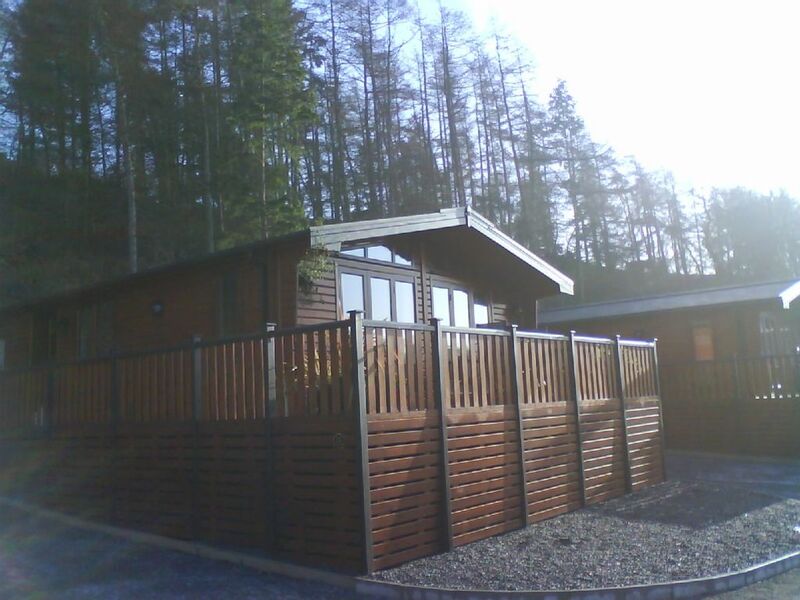 We really love the quiet ambiance of the area and the lodge has all the facilities you will need and more. Fantastic! We love the fact that guests love Shropshire and staying in Bentley Lodge to appreciate it. Golf: If you like to golf, then we are a short walk away from a new golf course at Astbury Hall just up the lane, and a short drive from other courses. Bridgnorth Golf Club Stanley Lane, Bridgnorth, WV16 4SF, tel: 01746 763315, was founded in 1889, and is a private members club set in idyllic peaceful surroundings alongside the River Severn. Club captain and Ladies' captain welcome visitors, guests and societies.